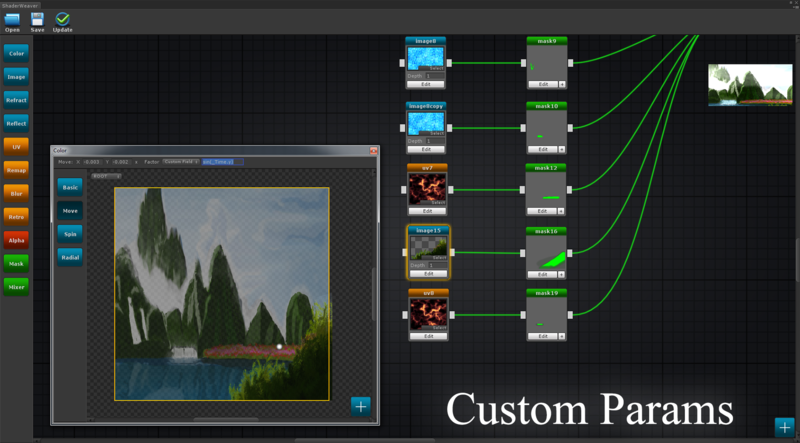 Shader Weaver is a node-based shader creation tool for Unity 2D,giving you the artistic freedom to enhance Sprites/UI in a visual and intuitive way.Distinctive nodes and workflow makes it easy to create impressive 2d effects and save huge time. 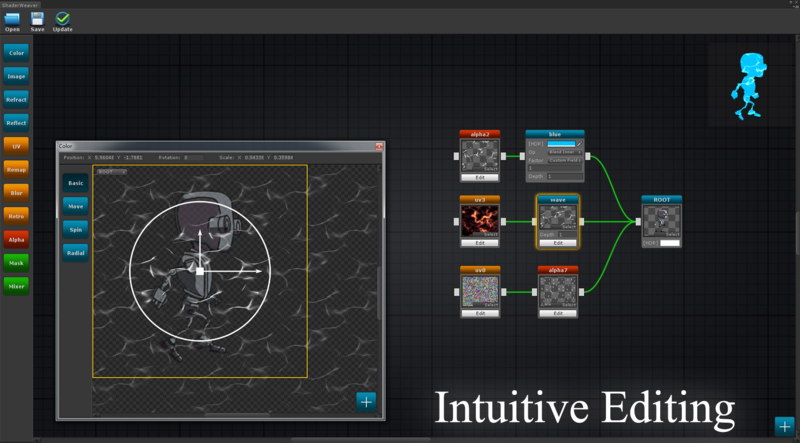 A pack of sample effects including shaders and textures to study and use freely. Clean and intuitive user interface. 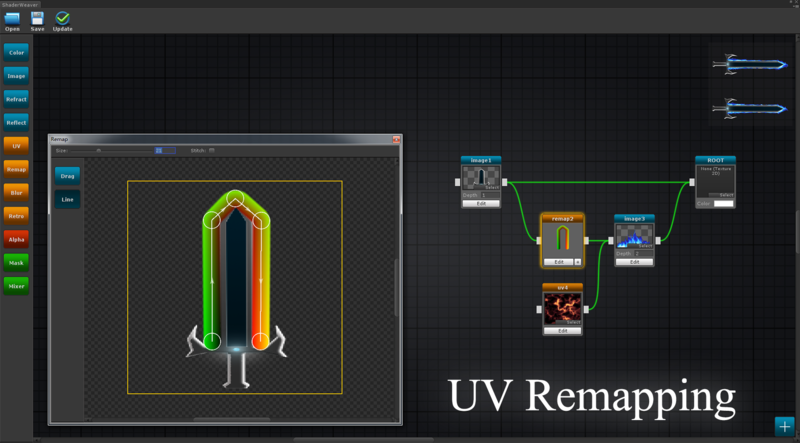 Draw masks to divide areas for individual sub-effects. 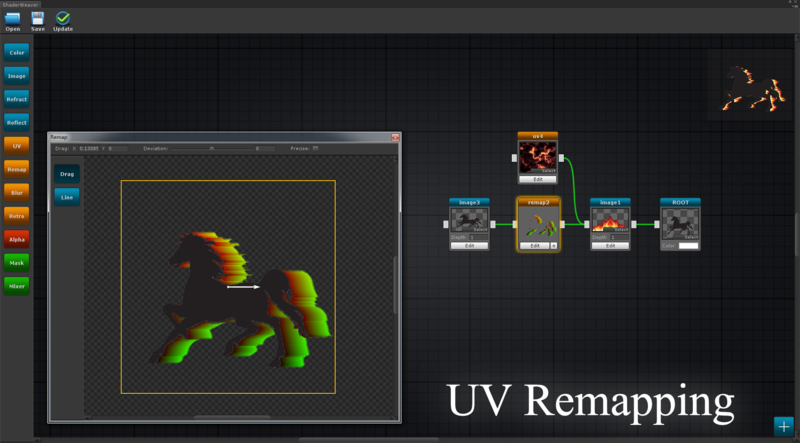 A visual way to distort uv corrdinates. 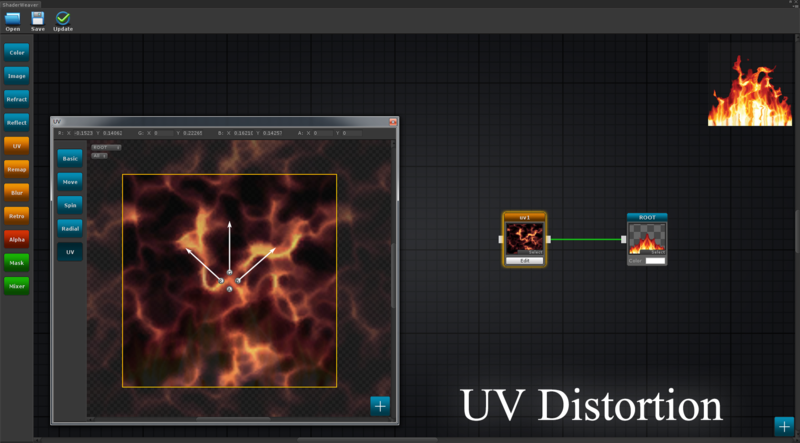 A unique way to make path along effects and object surrounding effects. 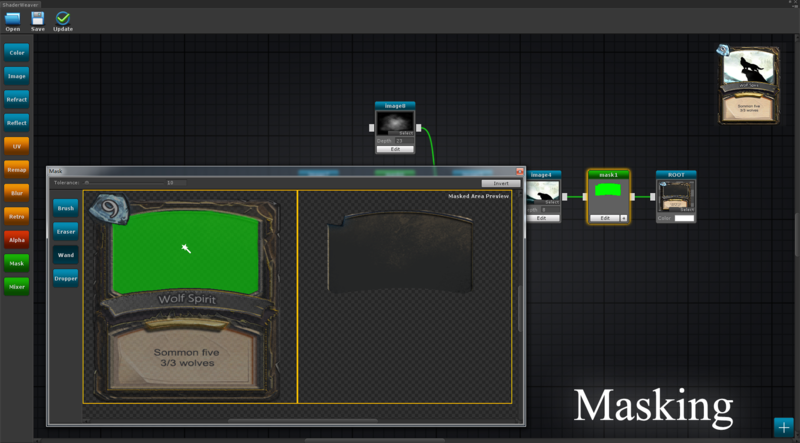 Use handles/gizmos like what you use to do. Hot keys are avaliable when drawing masks,operate textures and so on. Edit and update in play mode. 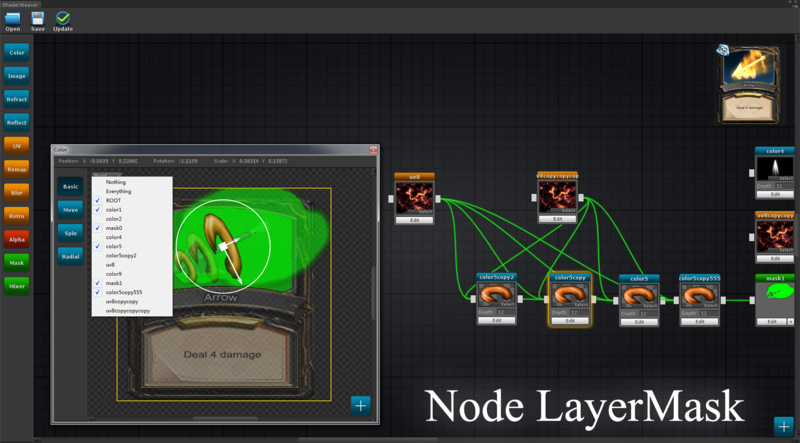 Support copy(ctrl+c) and paste(ctrl+v) for reusing nodes from other Shader Weaver effect. 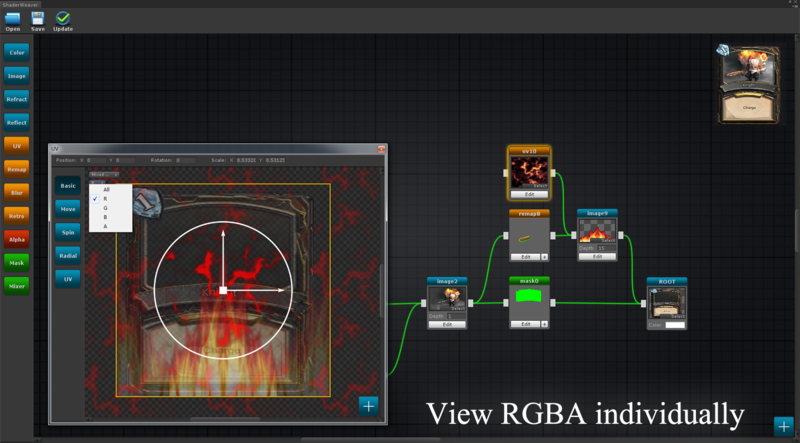 View textures' individual rgba channel and choose what to see by setting layers.